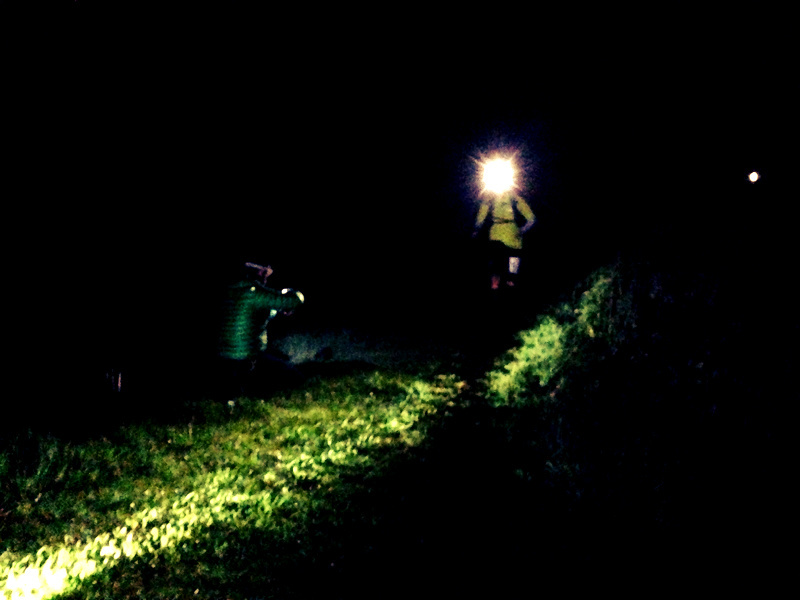 The T60 Night Race took place last week and I was once again helping out. 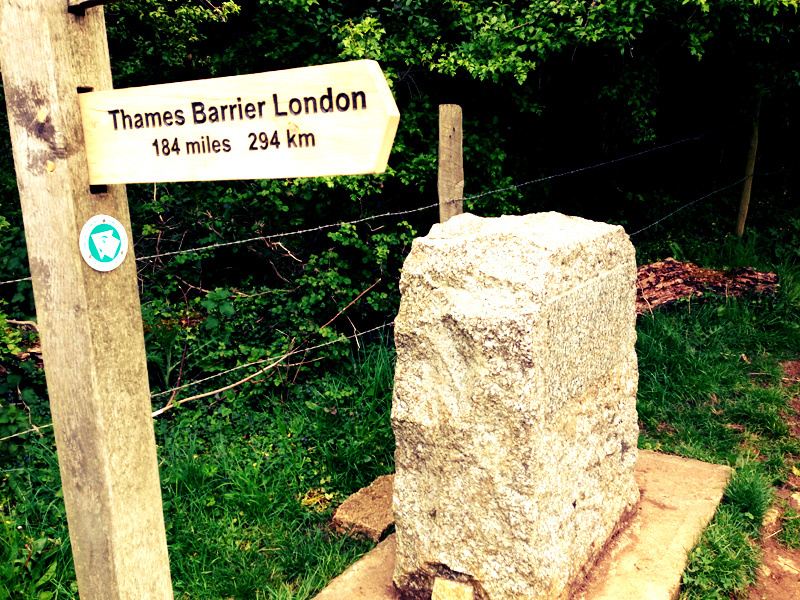 The event is a self-supported 60 mile overnight run starting from Oxford and which follows the Thames Path to the stone marker at the source of the Thames. Due to the self-supported nature of the event (competitors are provided with water only at Checkpoints and have to self-navigate) there was a comprehensive list of kit to carry for the race as weather conditions can be poor or unpredictable (it poured last year) and it was good to see all of the runners paying attention to the kit lists and there were no reported issues at registration. 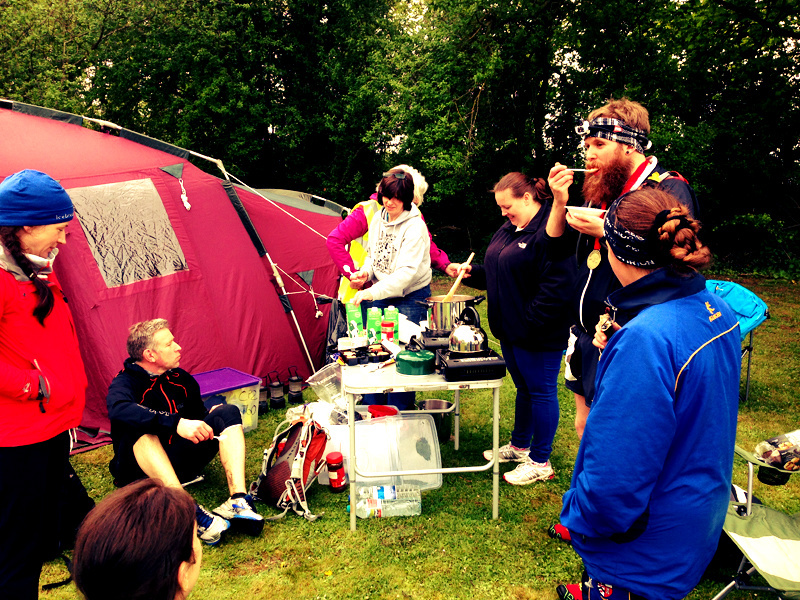 At 7.45pm the Race Director Shane Benzie gave his race briefing before setting the 35 ish competitors off at 8pm. And they are off with Ollie and Karen in the lead. Following the start I drove ahead to Checkpoint 1 at Pinkhill Lock where I was stationed with a few other volunteers. Checkpoint setup took about 5 minutes to move the bottles of water from my car to the lock and we had a little wait before the first trio of runners Ollie, Karen and Mark came through together. 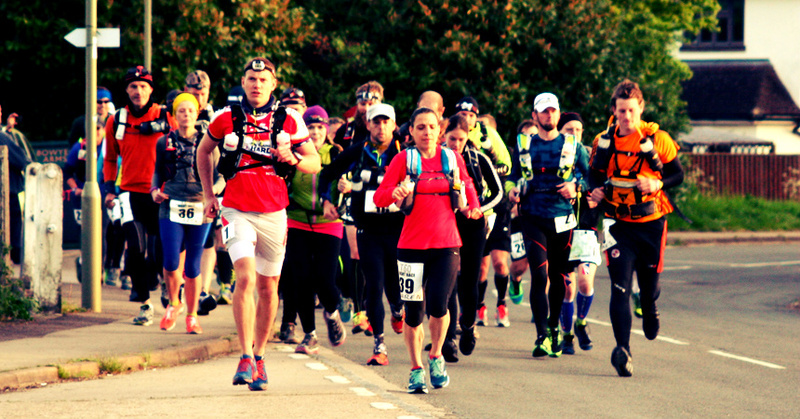 The race was once again employed the GoTek 7 GPS technology which enabled real time tracking of the event which enabled us to keep an eye on runners as they approached us. A sweep bus was also in operation who would be following the race and collecting any runners who had to drop out. A separate GPS device was also provided for the sweep bus so the location of the vehicle could be seen by runners or crew which was a great idea. We saw a steady stream of runners coming through and ensured they were topped up with water, looking ok and collected any of their rubbish. Unfortunately, there was one reported DNF prior to Checkpoint 1. 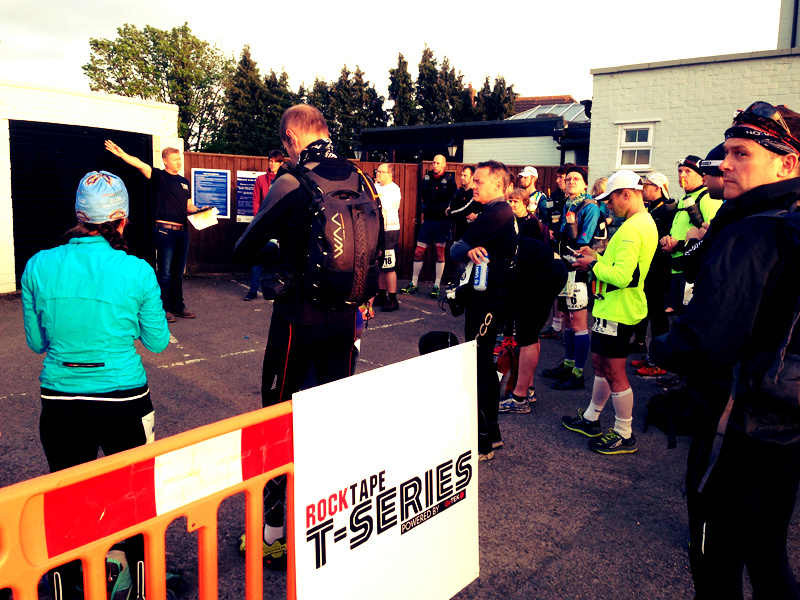 As this was the first stage of the race, runners were through well before the cut off time and with all runners accounted for we closed the checkpoint at about 11.15pm. Having completed the second of my duties it was time to drive to the end of the race at the Thames Head pub where Race HQ was going to operate from at the end and get a few hours sleep before helping out the next day. I arrived at the Race HQ by 12.30am and unloaded all of the remaining water and supplies before getting my head down in a tent after 1am. Unfortunately, I didn’t sleep particularly well due to a combination of being distracted by the noise of the cars travelling along a main road next to me and the sounds of the birds and wildlife in the morning which were incredibly loud. I really should have brought some ear plugs. After a fitful night’s sleep I got up shortly after Ollie had finished in 1st place and had a chat at the end before seeing Karen (2nd) and Mark (3rd) arrive at Race HQ. The actual race finish is about a half a mile walk away from Race HQ from the stone marker which indicates the source of the Thames (as there’s no road access there) to the pub and I went down to the actual race finish and met up with Shane and Dave Cox who were awaiting the finishers. Thanks to Dave who organised my breakfast (a self-heating cooked breakfast). After some food a little walk to stretch the legs I started to feel a little more awake. 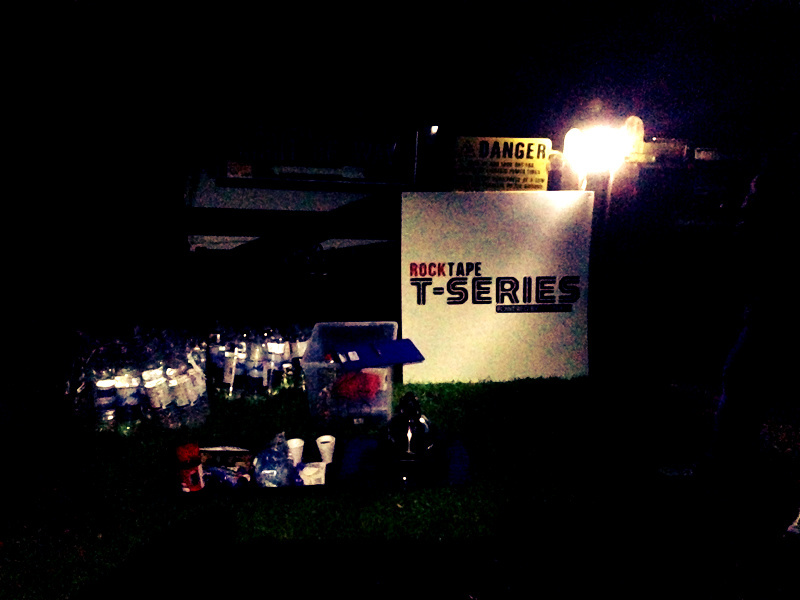 I spent an hour or two waiting for and assisting runners coming into the finish as well as continuing with social media duties and updating the twitter feed @tseriesracing and Facebook group page with updates. I returned back to Race HQ and saw a few more finishers arrive shortly after and caught up with a few people who unfortunately didn’t make it to the finish. It was then time for Dave and I to sweep the last leg and Paul Reed kindly gave us a lift back down the course where we were going to pick up the Thames Path and run the last section and accompany the last runner and to make sure they were ok.
As the route was not marked, there was no need to clear the course and using the GPS tracker we worked out the runners approximate location and decided to position ourselves close by. As we started our run Dave nearly threw himself into the Thames when he tripped on a tree route and did the comedy stumble forward for several yards before righting himself. 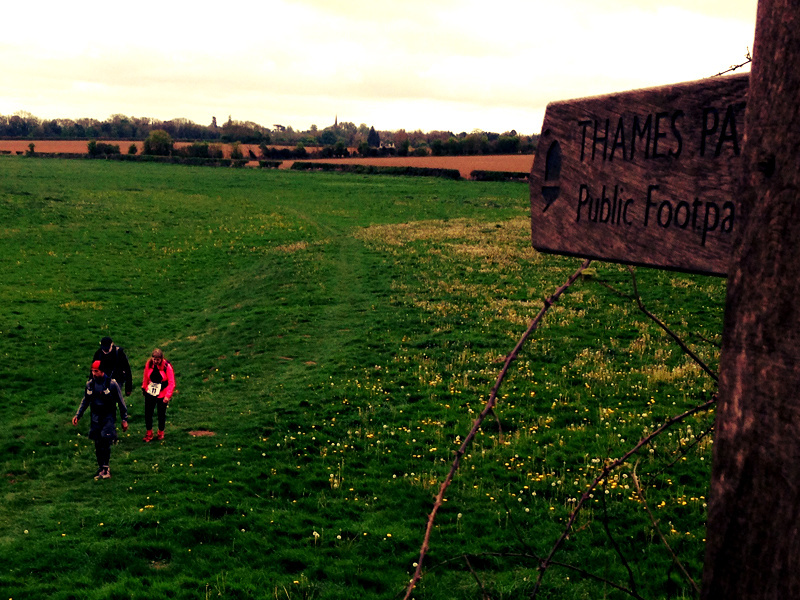 Unfortunately, the runner (Debbie) was moving slightly slower than we had anticipated and we were dropped off slightly ahead of her (having to try and find a point we could intersect the Thames Path) before checking the GPS and doubling back to meet her about 6 miles out from the finish. Dave and I escorted Debbie to the finish. Progress was steady as expected as Debbie had already covered 55-ish miles overnight already but she was moving well and running small sections. I’m not sure she totally enjoyed a few of the stiles at the end though! We finally arrived at the final field close to the finish and as we spied the finish location ran on ahead so we could snap a few photos and welcome Debbie at the finish. After a few minutes rest, we escorted Debbie back to Race HQ and started the packing up operation before heading home. A final well done to all the runners who took part in the event particularly those who eventually made it to the finish. Another enjoyable (but tiring) weekend!